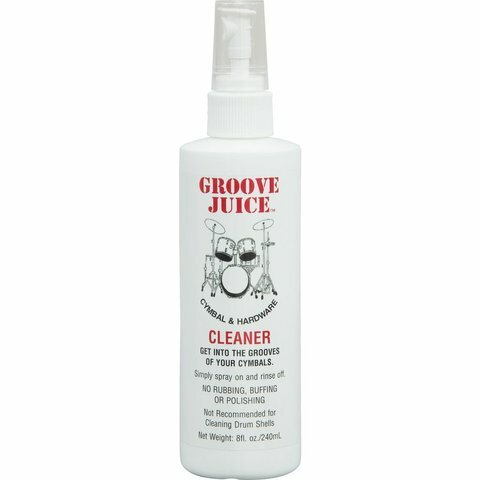 Home Groove Juice Cymbal and Hardware Cleaner 8fl oz. Groove Juice Cymbal and Hardware Cleaner 8fl oz. Spray Groove Juice Cymbal Cleaner on your cymbals, leave on for a minute, then rinse off with water. It couldn't be any easier to keep your cymbals gleaming. The organic acid detergents in Groove Juice Cymbal Cleaner will do the cleaning for you.